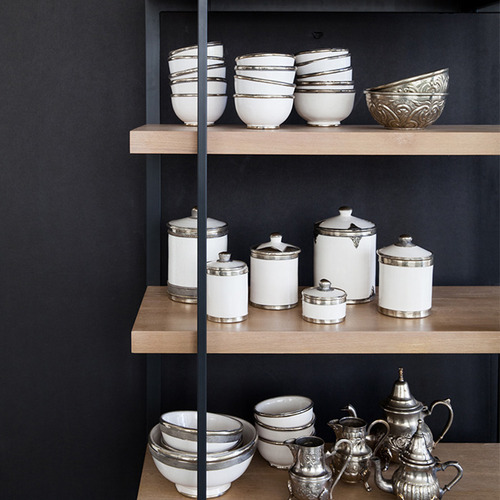 When it comes to ceramics, Morocco has a rich history, dating back to Neolithic times. Moist clay is dug from the earth, limestone is baked to a powder, and pots, plates, tiles and bowls are heated to perfection. 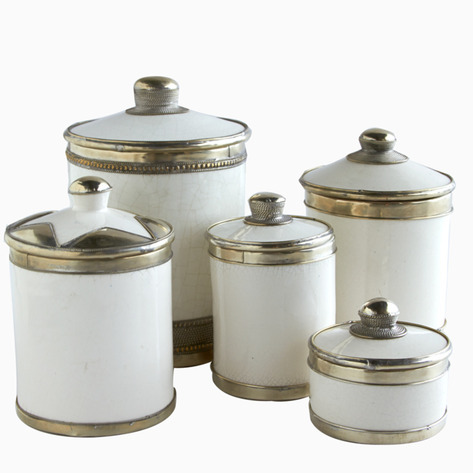 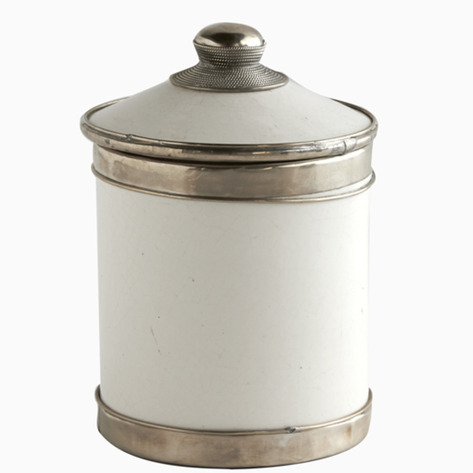 This ivory tadelakt ceramic canister with silver trim is no exception.